Flying long distances can be tiresome, and even more so if you’re inadequately prepared for the long trip. Explore these flying tips from the pros to keep your trip as enjoyable as possible. You never want to fly internationally and get hit with unbearable bodily conditions that will keep you up tossing and turning. Pack your essential medicines (in travel-size doses) for upset stomach, migraines and allergies. If you suffer from motion sickness, take a small dose of Dramamine before getting on the flight. Airplane food isn’t prepared in the healthiest way, so make sure you also have a travel dose of PeptoBismol handy and take it an hour before your meal is prepared. 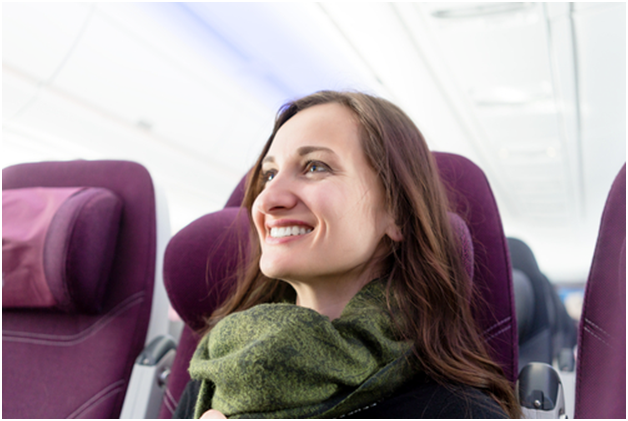 If your flight is more than eight hours, consider upgrading it using your air miles. If you don’t have any air miles for the upgrade, consider paying the small fee to upgrade to premium economy. Premium economy usually comes with spacious leg room and priority check in. Getting on the plane first will ensure your carry-ons get stowed away before space fills up. You may also be seated near the front of the plane, ensuring you get off just as quickly and conveniently as you got on. Chances are you won’t have anyone to impress the moment you land, so dress as comfortably as possible. Ditch the slim jeans for something a bit more loose. Forget the button-up and go for the comfortable T-shirt. Leave your constricting, stylish clothes in your suitcase and wear items that you can move in and out of freely. Wear comfortable sneakers with warm socks with the intention of taking off your shoes when airborne. And don’t forget to carry on a sweater for when it gets chillier at night. A little known tip to beat jet lag while flying is to set your clock to the destination’s local time. When it’s nighttime there, try to get as much shut eye as possible. Restfully sleeping in an airplane is tough, so make sure you carry on your sleeping mask and earbuds. By staying awake during the day and sleeping during the night cycle of your destination, you’ll be incredibly surprised to discover you’ve combatted jet lag. Naturally, repeat the same steps for your trip back home. You never want to fly with your favorite device running low on juice. Probably one of the biggest staples in your carry-on will be an external battery pack. Pros recommend the lightweight Anker portable charger. If you’re planning on taking a lot of photos on your iPhone 6s, make sure you have your external battery pack handy with an extra SD card. If you’re a business flyer and often use your laptop, this combo beast of a battery will be your new best friend. At 50,000 mah, the MAXOAK battery and connector for MacBooks will keep your laptop and any other devices juiced up for any trip.